The ultimate in organization for fanny packs comes in the Mountainsmith Vibe. Made for trail runners or those who just want to free their pockets from their everyday essentials, this waist pack swallows up a bunch of gear in an organized fashion. Mountainsmith has been making lumbar packs for over 35 years, and the Vibe brings together decades of design experience into an efficient piece. Features of the Vibe include a 1.5” adjustable waist belt that clips near the pack for security, 270-degree circumferential zipper, air mesh padded back panel, internal organization panels, front panel pocket with key clip, headphone port, and a bright yellow lining for internal visibility. 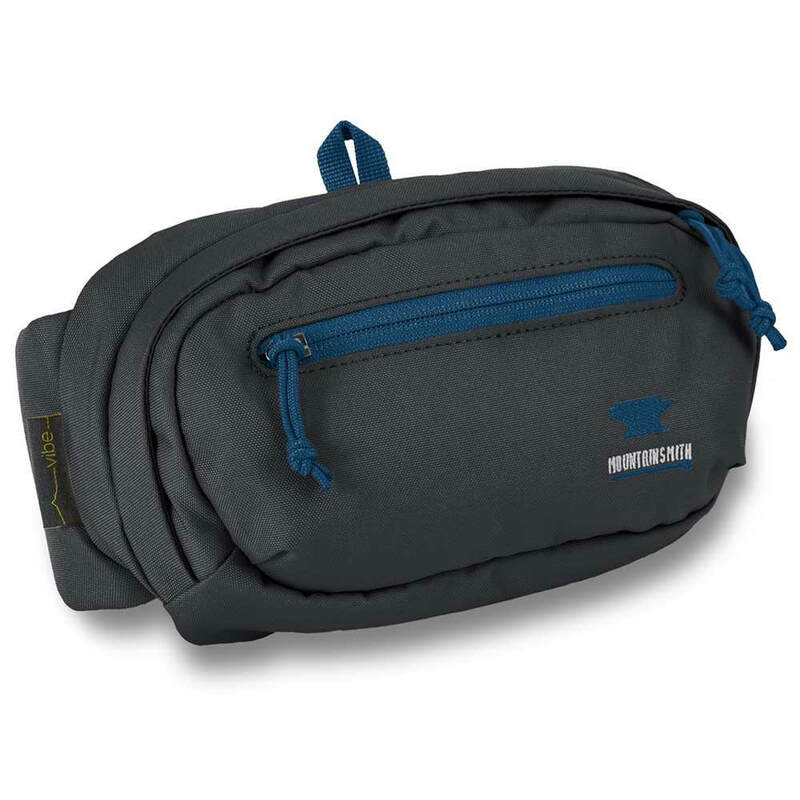 Put that all in an ultra-durable package thanks to the use of CORDURA® fabric, and you have the ultimate fanny pack. To bring you peace of mind for your investment, Mountainsmith offers a lifetime warranty on their products. If you prefer to free your pockets from your everyday essentials in a stylish lumbar pack, the Vibe is the piece for you. Capacity: Up to 5 lbs. Waist Belt: Adjustable up to 48 in.